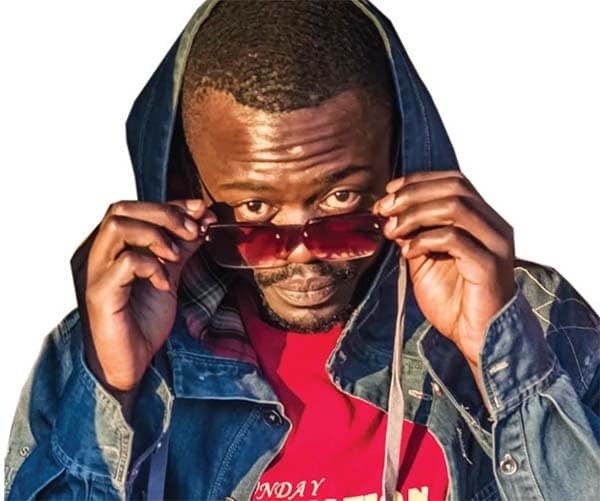 MASERU – Local Hip Hop artiste, Moji Mokotso, commonly known by his stage name Jiji F, is one of the pioneers of hip hop on the local music scene. Jiji F says the hip hop industry has grown a lot since he started being in the game in 2008. His single “I Miss You”, a song dedicated to his late cousin, gained him recognition as a solo artiste. Below is a conversation with him on the long journey that has taken him 10 years to date. PE: Who is Jiji F? JF: Jiji F is Moji Mokotso, second child of Mme Bontle Mokotso and a father to Lefa Mokotso who is two years old this year. I did my primary education at Unity English Medium School, and secondary education at Paul Erasmus in Senekal, South Africa before I went on to do an IB diploma at Machabeng College. Even though I haven’t gone further with my education, I believe I have a very strong educational foundation. PE: You are one of the initiators of local hip hop; how has the journey been like up to now? JF: The hip hop industry has really grown a lot since we started; things used to be difficult because people were ignorant about locally produced music back then, especially hip hop. Getting performances was difficult, let alone getting people to know your song. You also meet challenges of not making enough money, if any at all, meanwhile you are also trying to convince parents that this thing will work out. PE: Tell us about your international appearances. JF: I have had a couple of international TV and magazine appearances. The most popular one was when I appeared on Etv soapie called Rhythm City where I acted as Jiji F recording a song in their studios; a song I already had with Nirex called Animale. I was also a guest on a youth hip hop TV show called Shiz Niz. I also worked on an Amstel advert in Sandton City with AKA, Moeketsi Monoeli and other actors where I was a supporting act. I did a launch of my first album called MGC with Hype magazine at 4fordy. Later I was profiled on two pages in the magazine in an issue that I believe Wiz Khalifa read because he was on the cover and they get copies all the way there I reckon (he laughs). PE: What are your other greatest achievements? JF: In my career I have milestones that people see as achievements. I won the Ultimate Awards for the Best Music Video in 2016. I have performed on big stages in and outside the country and maybe those other international TV appearances count as achievements. PE: What are you currently working on? JF: I am currently working on a personal project that has put a halt to my music career for a while but I still release music though less frequently. I am building my house with my hands and it has put me in a space of life and mind I had never imagined. I am three months into the project, three months living on the site and three months of learning. Who I am without my past or future? It is transforming me into a better human bit by bit. I am also working on a song that pays tribute to our country and also advises the youth to be involved in its shaping, as well as for them to have influence as far as its future is concerned. Here I am working with Honourable Deputy Minister of Public Works and Transport Mokherane Tsatsanyane and my fellow artistes Phuthi Nthako, Megaherz and Young Moses. PE: Is there any record label you are signed under? JF: I am not signed under any record label currently. PE: Who are some of the artistes you would love to work with in the future? 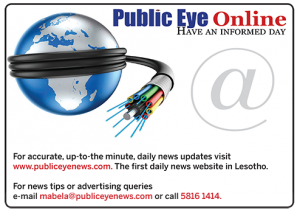 PE: Would you say the entertainment industry in Lesotho is growing? JF: The problem is that we compare our industry with that of South Africa not realising that they will never be the same. First of all because of the population difference. Lesotho’s population is more or less the same as just Soweto’s population in Gauteng province so it makes absolutely no sense comparing our industry with the whole of South Africa’s. It will therefore seem that our industry is growing slowly if we keep comparing because it will take a long while for Jiji F to be like Cassper Nyovest, if you know what I mean. For the record, I do not want to be like Cassper or another artiste or compare myself to them. I compare myself to myself and I always win. We also need our government to put in place a functional music infrastructure. PE: What challenges do you face as an artiste? JF: People’s expectations. Some people expect us to be rich yet the same person with that expectation has been downloading music for free all these years and has never bought an album. The other challenge is working with corporate people who undermine artistes: the same guy who is in a suit and tie driving a flashy car tells an artiste how much he thinks their work is worth. This same guy struggles to pay loans for the car, the house and the suits sometimes. This is just an example. So, all in all our biggest challenge is working with ignorant people. PE: What is the most embarrassing thing that has happened to you on stage? JF: The Mic got cut off and muted while I was performing in front of nearly 15 000 people in 2013. Then I saw renowned SA artiste Black Coffee behind me and it was time to get off. (He says laughing). 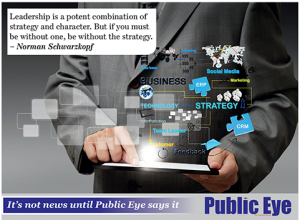 PE: What do you promise to offer your supporters in the future? JF: I promise to give them honesty and good music like I have always done. More music videos this time and inspiration in basic life things if I can. PE: Who do you look up to and why? JF: I look up to my stepfather Mr Skhulumi Ntsoaole. I am a new dad and I now understand the type of love you give out to someone you call your child and the support you give them so after two decades with him loving me like his own is a blessing and something I admire. I would marry a woman who already has children because I know that type of love now. This goes out to all single moms. PE: How is fatherhood treating you? JF: Being a father has changed me to a better person. I learn from my son every time I am with him. I learn not to judge because he does not; I learn to forget things that make me angry and I learn to live in the moment and never think about the past or future that does not exist. I also learn not to live by time and find myself waiting and not living because kids do not put too much value on time like we do. To them it is always now; they wake up when they want, eat when they want, etc. Fatherhood is awesome. PE: How do you spend your free time? JF: I read books, watch tutorials about making things and cook or go hiking. Previous Pressure to marry: what are your choices?